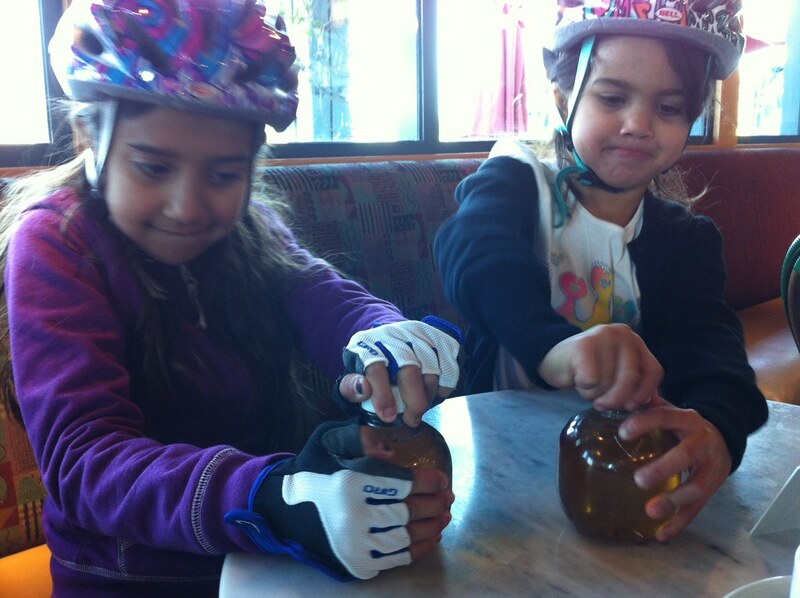 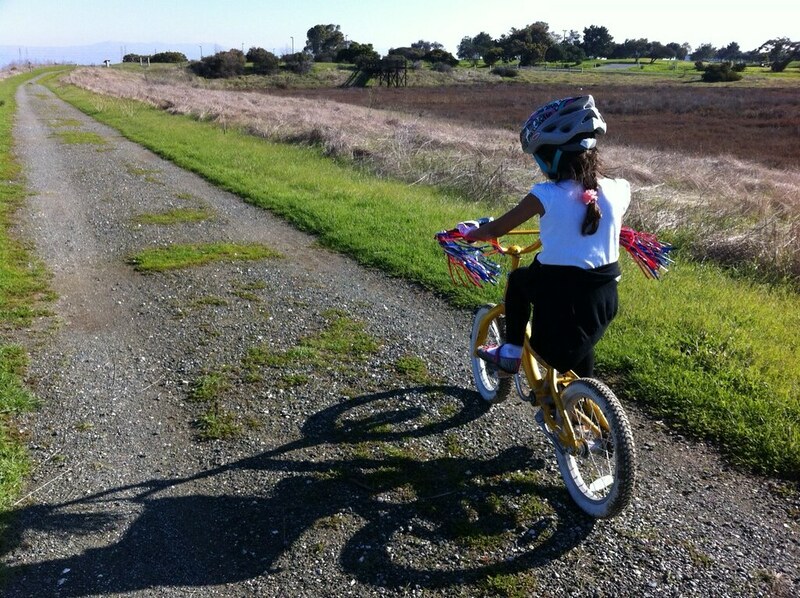 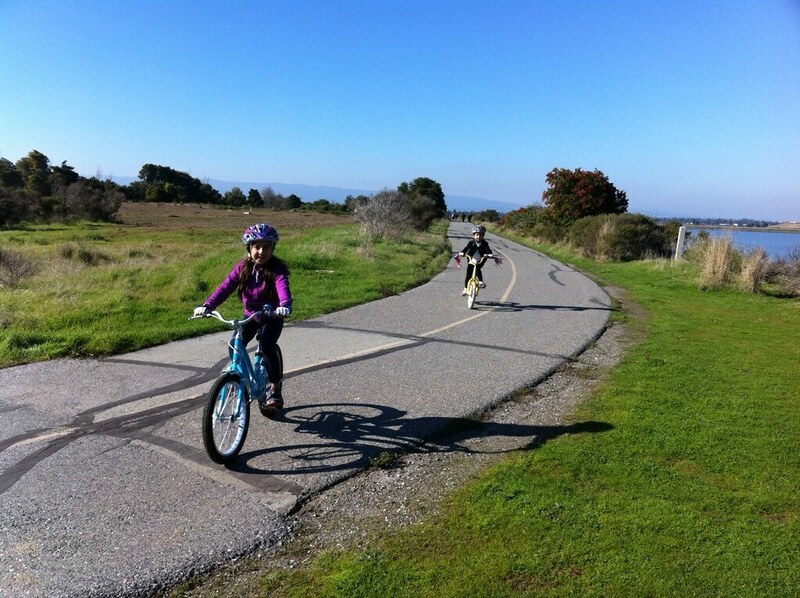 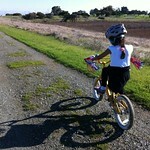 Arti was busy teaching a fitness class, so the girls and I rode our bikes around Shoreline Park. 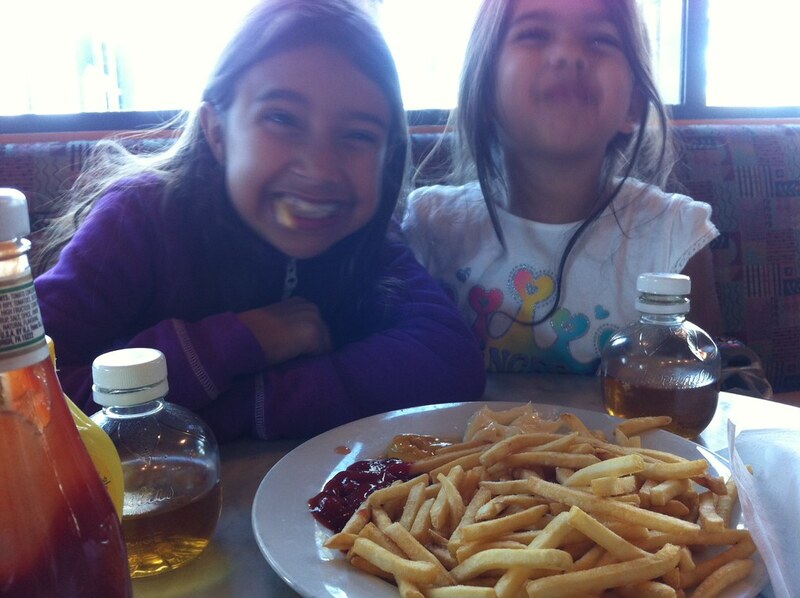 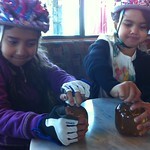 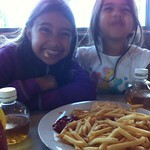 We stopped for fries and juice at the Lakeside Cafe along the way. 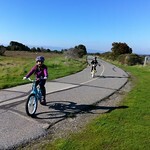 We rode on trails, roads, grass, hills, and mud. 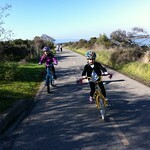 Total distance was about 3 miles over the course of 2 hours ;-). 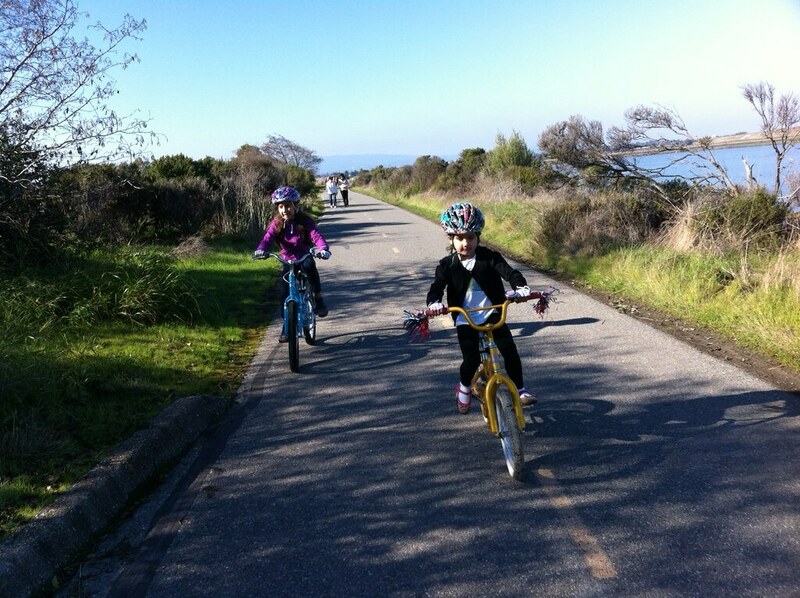 View New Years Shoreline Ride in a larger map.